Plastic Bottles – Western Industries, Inc. 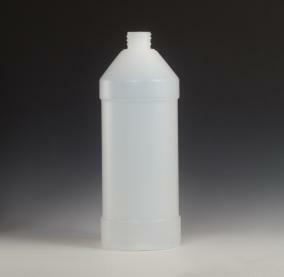 Some of the most common products made from the process of blow molding are plastic bottles. Because of the versatility of blow molding, plastic bottles can be formed into many different shapes and sizes from many different plastic materials. Plastic bottles can be formed from polypropylene, polyethylene and polyethylene terephthalate (PET) and are used for innumerable purposes.Consumer markets’ insatiable demand for bottled beverages ensures the health of the plastic bottle production industry for the foreseeable future. Plastic is an inexpensive alternative to metal, and it looks like an even better solution when compared to glass. However, because many plastic products are hydrocarbons, they pose a greater threat to the environment if they are not recycled (many plastic bottles are recyclable). In recent years, plastic manufacturers have sought ways to produce biodegradable plastic products, and some of them have already reached consumer markets on a substantial scale. All blow molded plastics are made in the same way. The process begins with thermoplastic resin, which is a collection of small, plastic fibers or pellets. This raw material is called stock. Stock is loaded into a hopper, and from there it is directed into a conveyance channel. Within the channel is a large screw that pushes the stock toward the mold as it turns. As the stock progresses through the channel, it passes heat elements which, combined with the pressure created by the turning screw, causes the stock to become liquefied. At that point, it is forced into the mold cavity where it takes the shape of the intended final product. Compressed air is then forced into the mold cavity which causes the inside of the newly-molded plastic product to become hollow. The compressed air pushes the plastic material against the form of the mold until it takes the mold’s shape. One the molding process is complete, the product is allowed to cool and harden and is extracted from the mold. The product can then be cleared of any imperfections (if they are present) and shipped or sent for additional processing. In many cases, the raw stock used to form new plastic products can come from recycled products that have been reprocessed. Plastic Bottles Plastic bottles are plastic containers that are typically characterized by thin construction and small size compared to other plastic products. While many industrial plastic products boast strength, durability of construction and general sturdiness, many varieties of plastic bottles are designed to be as light-weight and low-cost as possible, especially in the context of beverage packaging.